I have spent more time on the beach this summer then any summer I can remember. I feel so lucky to live in a place where the beach is right down the street. The views are breath taking. The clean air and sound of the waves have a way of cleansing the soul. I recently made these for cocktail, wine and cheese picnic on the beach. After a gorgeous sun set, with an empty bottle of Don Julio, still warm enough to be in a bikini, surrounded by good friends, we were all glowing – it was a night I will always remember. Shake Don Julio Reposado tequila, Orange Blossom water and lime juice in a shaker. 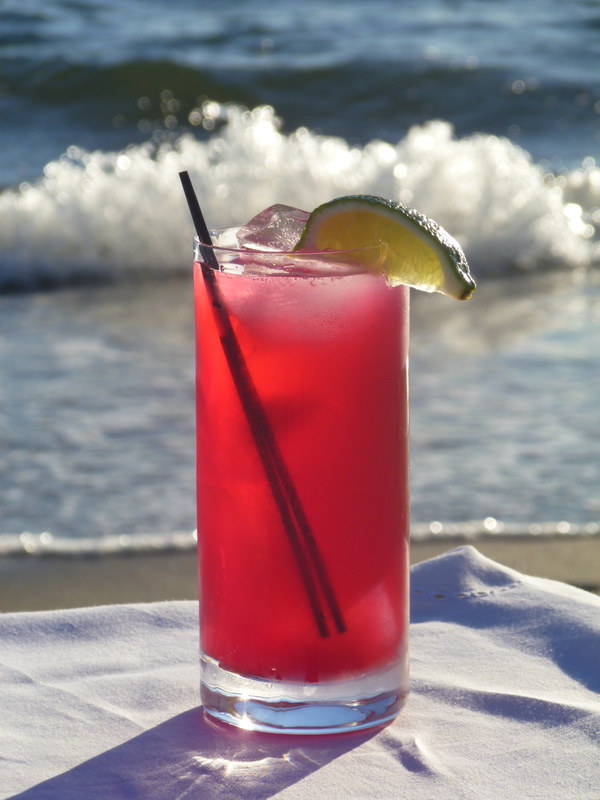 Pour over ice into a collins glass, top with prickly pear puree. Stir. Garnish with a lime wedge. Peal outer cactus skin off of prickly pears. Put them in a pot with a cup of water. For every six pears add half a table spoon sugar. Simmer until they become soft and syrup like. Let cool. Fine strain into an airtight container.